New Poet Laureate Philip Levine's 'Absolute Truth' "The truth of poetry is not the truth of history," according to the new poet laureate of the United States. 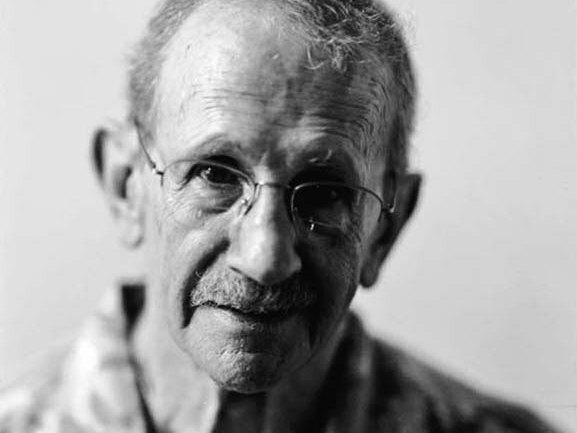 Philip Levine's work is most famous for an urban perspective that began with a youth spent working in Detroit's automobile factories. On Wednesday, the Library of Congress announced that Philip Levine would be the next poet laureate of the United States. "The truth of poetry is not the truth of history," says Philip Levine, the newly-named poet laureate of the United States. Levine is 83 years old. He grew up in Detroit, working at automobile factories in his youth, and published his first book of poetry in 1963, at the age of 38. He went on to win the 1991 National Book Award for his collection What Work Is, and the 1995 Pulitzer Prize for poetry for The Simple Truth. His appointment was announced by the Library of Congress on Wednesday. Levine tells NPR's David Greene that when James Billington, the librarian of Congress, called him earlier this week, he didn't know what was in store. "I thought he was probably going to ask my advice as to who should be the next poet laureate and then he said, 'We would like you to be the next poet laureate,' and asked me if I would accept the position. And I said, 'Sure.'" Levine's work is most famous for its urban perspective, and its depiction of blue-collar life in Detroit. But while he was working in the factories, he found nothing poetic about them. "I found the places hateful." His job at Chevrolet Gear and Axle was hard, he says, "and the work was exhausting." Even though he was writing poetry at the time, he couldn't bring himself to write about his day job. "Even in my imagination I didn't want to spend time where I was working," he says. "I didn't want to talk shop. So no, even after I left — because I left Detroit at age 26 — I was unable to write anything worth keeping about Detroit for years. I wrote things and I threw them away." Why was it so hard? Levine quotes another poet laureate, William Wordsworth: "'Poetry is made up of emotion recollected in tranquility.' I didn't have any tranquility," Levine says. "I was full of anger. I was very aware of the fact that I was being exploited and the people around me were being exploited. There was a mythology about us: We were stupid and lazy and we deserved what we were doing, our dumb work." Levine's anger at the way he and his fellow workers were treated is apparent in many of his poems, including the title poem from his National Book Award-winning collection, What Work Is. That poem is based on a real experience, Levine says, of waiting in line for two hours for a job at Ford's Highland Park plant in Michigan. "I needed work. There was an ad in the newspaper that Ford Highland Park was hiring and they gave the hour — at eight o'clock — when they would open for our applications. And I got there around eight o'clock and there were quite a few guys ahead of me, and it turned out that they weren't opening until 10," Levine says. He waited anyway. "I began thinking about why the hell did they advertise for eight? And then it occurred to me: they wanted us to wait two hours because they wanted men who were willing to wait two hours. In other words, people of sufficient docility to become robots." Levine says he's still angry today — "It'll never leave me" — but adds that he discovered something else, in addition to the anger, as years passed. "I had been in contact with people of enormous character and sweetness and affection and courage and strength," he says. Levine won't say who Frankie is. "Frankie is still my friend and I really don't want him — I've changed his name — I really don't want him to know that I write about him. He doesn't know how I see him. He knows I care enormously about him and he cares about me. You know, in tennis they say, 'Never get off a winning game.' Well, I have a winning game with Frankie and I'm not going to screw it up. But I don't want people to know, really, that I'm using them in this way. And so I disguise them," he says. When asked if that means we shouldn't assume he's bent on capturing the absolute truth of those days in Detroit, and those people in the factories, Levine offers a correction. "That's what I am trying to capture," he says, "the absolute truth, not the accidental truth." Personal perspective, he says — emotion — is a key to that absolute truth. "The assumption that you could give the absolute truth simply by observing is nonsensical," Levine says. "It is, in a way, in almost obedience to my emotions that I shape the experience so that I can express how I felt and what it was I felt about. "It is the imagination that gives us poetry," he says. "When you sit down to write a poem, you really don't know where you're going. If you know where you're going, the poem stinks, you probably already wrote it, and you're imitating yourself. The real challenge is when language, instincts, technique and practice come together. Then, he says, "you have to follow where the poem leads. And it will surprise you. It will say things you didn't expect to say. And you look at the poem and you realize, 'That is truly what I felt.' That is truly what I saw." Excerpt from the poem "He Would Never Use One Word Where None Would Do," from The Mercy. Copyright 1999 by Philip Levine. Excerpt from the poem "What Work Is" from What Work Is. Copyright 1991. Both selections excerpted by permission of Alfred A. Knopf, a division of Random House, Inc. All rights reserved. No part of this excerpt my be reproduced or reprinted without permission in writing from the publisher.